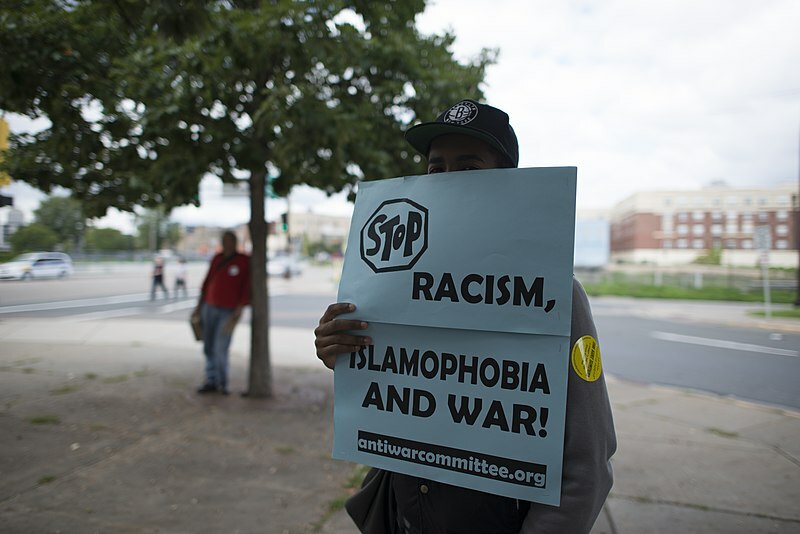 After the events of 9/11 there was a rise in contemporary cases of Islamophobia in the United States. However, what is often left out of the media is the rise in Islamophobia that has been occuring in South America as well. These instances are the highest in Brazil and Argentina which can be correlated with the fact that they hold the highest population of Muslims. Islamophobia is characterized as “dislike of or prejudice against Islam or Muslims, especially as a political force” (Dictionary.com). A climate of fear has persisted in both North and South America after the events of 9/11, as well as other attacks and attempted attacks performed by groups of Islam relation. After horrific events occur by Islam practicing extremist groups, many began to associate the word Muslim with terrorist. This article will focus on contemporary cases of Islamophobia in both Brazil and Argentina. As of 2016, there are around three million Muslims living in South America. This number has been steadily rising over the years, as in 2010 there were only 2.3 million Muslims in South America. Only 50% of the Muslim community are migrants. The other half consist of both converts from South American countries or descendants of Muslim migrants.The origin of Islam in South America has come from two main migrations of Muslims to South America. The first migration occurred in the fifteenth century when slaves were brought to South America. Some of these slaves were Muslims. However, this was only the introduction of Islam into Latin America, as the slaves were typically forced into conversion to Catholicism. Nevertheless, the second migration occurred in 1878 until 1924 where Muslims primarily went to Argentina, Brazil, Venezuela and Colombia. The majority of Muslims were coming from Syria, Lebanon, and Palestine. The migration was prompted by a surge in violence towards Muslims, as well as a desire for greater economic opportunity (Why Islam, 2015 and PBS, N/A). Through migration and conversion, Brazil and Argentina have developed the two largest populations of Muslims in South America. As previously mentioned, Muslims in these countries are not all migrants or descendents of migrants. There is a large population of South Americans who have converted to Islam. Thus, Muslims are inclusive of many ethnic groups in South America (Mora, 2016). In Brazilian history, terrorist attacks were not common. However, in 2016 eight men were arrested for having planned attacks on the Olympic Games in Brazil. All of these men were natives of Brazil. They were a Islamic jihad terrorist group and associated themselves with ISIS. This attempted attack was following the massacre that occurred on July 14, 2016 in Nice, France when 84 people were killed during Bastille Day celebrations. The killer was a French Tunisian who was described as having a “history of violence and mental instability” (bbc source). Also, he was not an established member of the jihad group. Nevertheless, in the two weeks leading up to the attack, the searches on his computer included “radical Islamist movements,” as investigators uncovered “photos of dead bodies and images linked to radical Islamism on his computer” (BBC News, 2016). Thus, the killer, Lahouaiej-Bouhle, was not a known extremist, but the days leading up to the massacre in France demonstrated interest in radical events. This event in France led to higher fear throughout the world towards terrorist groups. The government of Brazil increased their protection more after this event in Nice, as well as the attempted attack on their own Olympic Games. Specifically, there was an increase in “security cordons, road checkpoints, and body searches at Olympic venues” (Yuhas, et al., 2016). Due to the fact that terrorist attacks are not common in Brazil, the attempted attack in Brazil and the massacre in France instilled high amounts of fear amongst the people and government. In Brazil, the increase in fear amongst the people towards terrorist attacks also stemmed from the high levels of foreigners traveling into their country. In the case of Argentina, they have had two main attacks that occurred before 9/11. In 1992 the Hezbollah militant group caused an explosion at the Israeli embassy. During this attack, they killed 23 people and injured 242 additional people. Likewise, in 1994 this same group attacked the Argentine-Jewish Mutual Association. This led to a death toll of 85 people while injuring many others. This demonstrates how terrorist attacks with relations to Islam were occurring in Argentina prior to 9/11. Also, after these attacks anti-Muslim sentiments were common. These sentiments were encouraged after significant terrorist events occurred in this modern era in North and South America (Levitt, 2013). A reason for anti-Muslim sentiments aside from the horrible events was that the people responsible for the attacks were not discovered right away. Argentina has labeled the Hezbollah group as the organization behind the attacks, but Hezbollah has denied having any relation with both bombings. With a lack of a face behind the murders, Argentinians were left with little consolation and resolve for the largest terrorist attack of their history. The effects on society included more animosity towards Muslims. For the attack in 1994, a suspect wasn’t found until approximately ten years later in 2004 (NBC News, 2013). Leaving a crucial detail like this unsolved exacerbated feelings of hostility towards those of Islam faith in Argentina. These events left a perpetual mark in the history of Argentina and the attitudes of society towards Muslims. After attacks like these, many begin to view any Muslim as an “Other,” as they are treated differently whether intentional or as a side effect of popular belief. This may be a result of prior religious beliefs. For instance, many Jewish and Christian peoples developed an intense fear and prejudice against Muslim people after attacks like these occurred in their country. This then further exacerbated the idea of Muslims being the “Other,” or an alien figure that is dangerous. Despite this, there have been breakthroughs for Muslims. For instance, in Argentina a breakthrough legislation was passed by the Kirchner Administration that permitted Muslim women to “wear hijabs in public without facing persecution” (MV Media, 2017). Therefore, there has been progress towards creating equity for the Muslim community. However, sentiments of fear are seen in certain cases in Argentina and Brazil. Nevertheless, this perspective of the “Other” relates to the immigration policy that is practiced by each country. It has not been a common political practice to criticize or limit immigration in South America (Bianchi and Cohen, 2017). However, more recently, as promoted by the Trump Administration, the immigration policies of some South American countries has followed the United States in limiting immigration. For example, as of 2017 in Argentina, President Macri, has promoted following an immigration policy that limits entrance of migrants. They have not yet gone to the full extent of Trump, but Macri is following “Trump’s xenophobic attitude” by limiting immigration with the reason of portraying crime as a result of immigration (Goñi, 2017). Likewise, in Brazil, the recent administration under Jair Bolsonaro has been very conservative. In addition, throughout his campaign, Bolsonaro expressed sentiments of anti-immigration. He like Trump and Macri, used rhetoric that portrayed immigrants to be a “burden” to their country (Espinoza and Brumat, 2018). Thus, this demonstrates how there has been a reinforced pattern of anti-immigration stemming from the ideas of the United States. Also, the common strategy to earn society’s approval is to use the argument that crime increases as a product of immigration. In relation to Islam, Trump has encouraged closing borders to seven Muslim nations. This suggests that Islamophobia is still a dominant belief in the United States. Since Macri and Bolsonaro share similar anti-immigration policies to Trump, this anti-Muslim practice may also be transferred into their immigration policies. Immigration policies are often correlated with historical events and the sentiments that are rooted in history. Islamophobia is a product of history in Argentina, Brazil, and the United States. There have been terrorist events that have led to increased ill feelings of fear and hatred. Certain cases reveal that these feelings are translated into political practice through aspects like immigration policy. Islamophobia has been an unjustified product of terrorist events in these nations. As a result, many Muslims feel unwanted even in the places where they have established large communities. Although this is not the entire population, many people in these countries are afraid of Muslims entirely when the real focus should be on those who call themselves extremists. Finally, these sentiments not only are a product of history, but also the rhetoric used by the leadership in these countries. Nevertheless, the fear of Islam may not be as evident or strong in these South American countries in comparison to the United States or European countries, but it still exists today (MV Media, 2017). Alan Yuhas, Matthew Weaver, Bonnie Malkin, Kevin Rawlinson. (15 Jul 2016). "Nice attack: truck driver named as France mourns 84 killed in Bastille Day atrocity – as it happened". The Guardian. MV Media. (15 Jan 2017). "Islam and Muslims in Argentina". BBC News. (19 August 2016). "Attack on Nice: Who was Mohamed Lahouaiej-Bouhlel?". BBC. N/a. (9 Nov 2005). "Breakthrough made in '94 Argentina bombing". NBC News. Marcia Vera Espinoza, Leiza Brumat. (25 Oct 2018). "Brazil elections 2018: how will Bolsonaro’s victory affect migration policy in Brazil and South America?". Uki Goñi. (3 Feb 2017). "Argentina sees migration ban and border wall proposals in immigration row". Matthew Levitt. (19 Mar 2013). "Hezbollah's 1992 Attack in Argentina Is a Warning for Modern-Day Europe". https://www.theatlantic.com/international/archive/2013/03/hezbollahs-1992-attack-in-argentina-is-a-warning-for-modern-day-europe/274160/. Edwin Mora. (24 Aug 2016). "Muslim Population in Latin America Grows 25% Amid Radicalization Concerns". Luc Cohen, Walter Bianchi. (30 Jan 2017). "Argentina changes immigration law to limit entry, ease deportation".